Dass Scam bewusst blöde ist, ist Prinzip, denn schließlich sollen nur diejenigen Menschen geködert werden, die nicht fähig sind, den Betrug zu wittern. Deswegen fehlerhafte Rechtschreibung und verdrehte Tatsachen etc. Aber bei Phishing ist mir nicht ganz klar, warum man das so halten sollte. 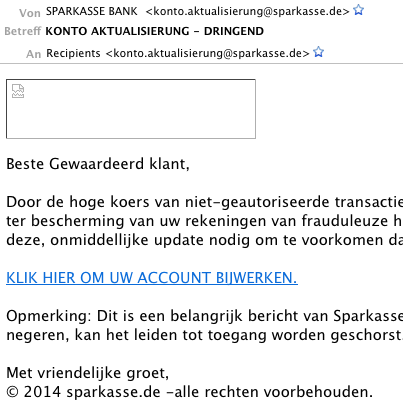 Deswegen wundert mich, dass diese Phishing-Mail, 1.) behauptet, dass es die Sparkasse an sich gäbe und 2.) auf Niederländisch verfasst ist. Wer soll darauf reagieren? Oder ist das die Verwechslung Deutsch vs. Dutch? Rätselhaft. There is only a thin tranche of the population whose memories (will) include the tinkling of a dial-up modem as it connects. If you are one of them, you are most probably tech-savvy, between 30 and 40 years of age and from the so-called Western World. Right? 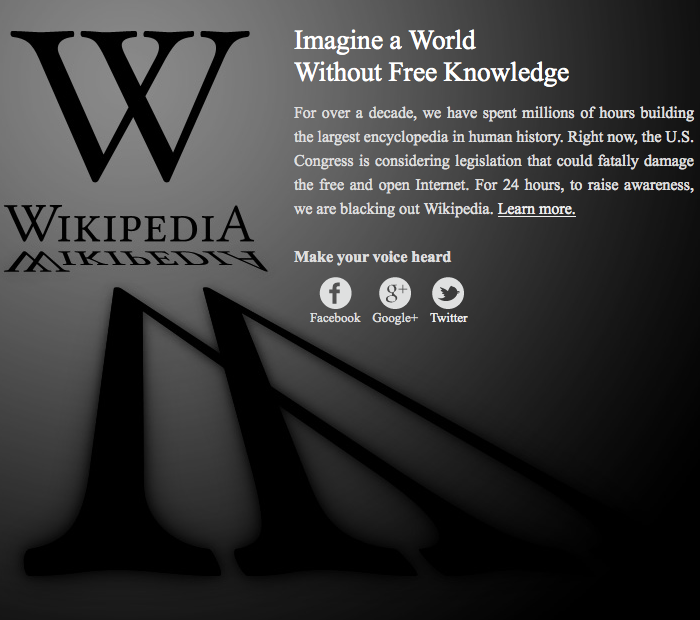 What do you think about: Ecosia? Alcalá seems to be very close here. 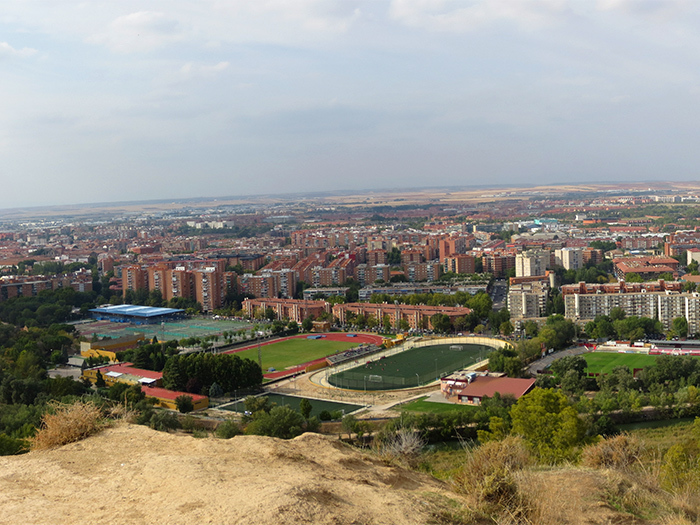 However, it was a two hours walk from the place where I am staying as you cannot cross the river at the barrage of the Henares to access the hill/mountain. That’s my suggestion for city development: Build a bridge and an escalator from New Alcalá and the place will be teeming with people. Well, maybe not. There weren’t many people at the enchanting water front or the meadows of the flood plain. Oh, if you look carefully, you’ll notice the high-rise buildings on the horizon. This is Madrid. Almost a year old but still very topical and worthwhile TEDTalk on filter bubbles and the threat that content-filtering algorithms might pose to democratic societies in the age of the internet. What’s Your Degree of Kevin Bacon? The other day, Nebel recommended a funny, little, movie-related game that connects Oscar nominees with the idea of the Six Degrees of Kevin Bacon. (Basis of the game is, of course, the six degrees of separation.) 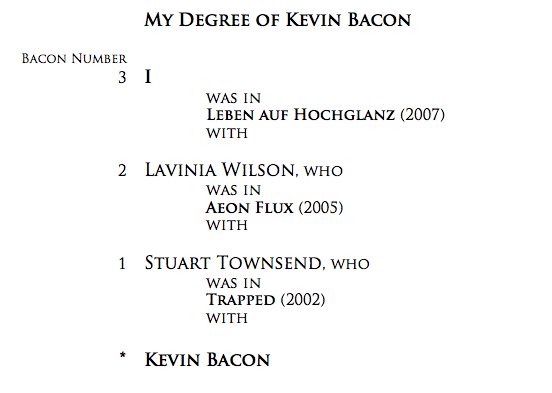 As Nebel writes, there is a wonderful on-line service called The Oracle of Bacon which not only tells you how the game works but also how one actor is related to Kevin Bacon and what Bacon number a given actor has. What I found quite interesting is that my own Bacon number is not so bad after all. 🙂 Tell me, what is your Bacon number? Are Religious People the Biggest Nerds in the World? …forever–or, at least, a very long time? Hungry Beast’s on to it. Hilarious! May the Bieber live on.